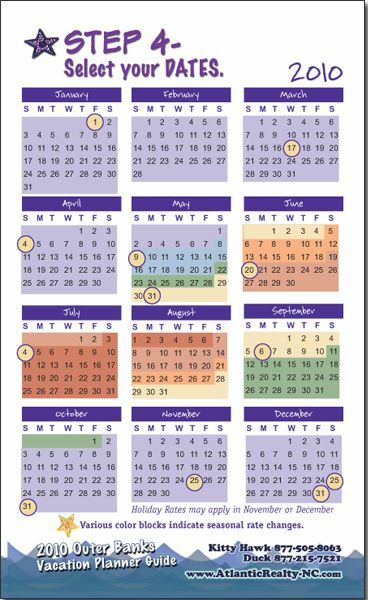 Our client made the decision this year to eliminate the large and costly traditional rental property catalog – showing photos of each home and a bed/bath count and description – in favor of a simple planner guide for their customers. 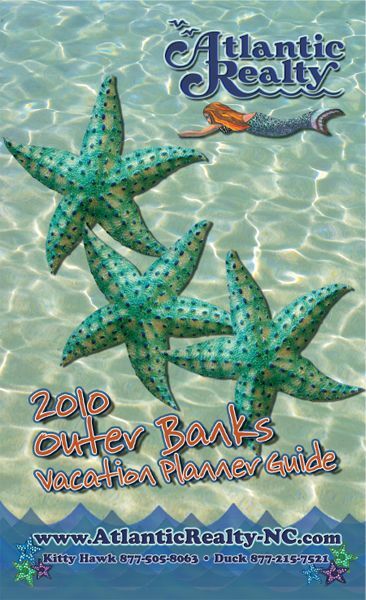 The new format is a helpful resource for people planning a trip to the Outer Banks, informing the reader of the many intricacies of Outer Banks vacationing from the towns and locales, property types, waterfront descriptions, and more. 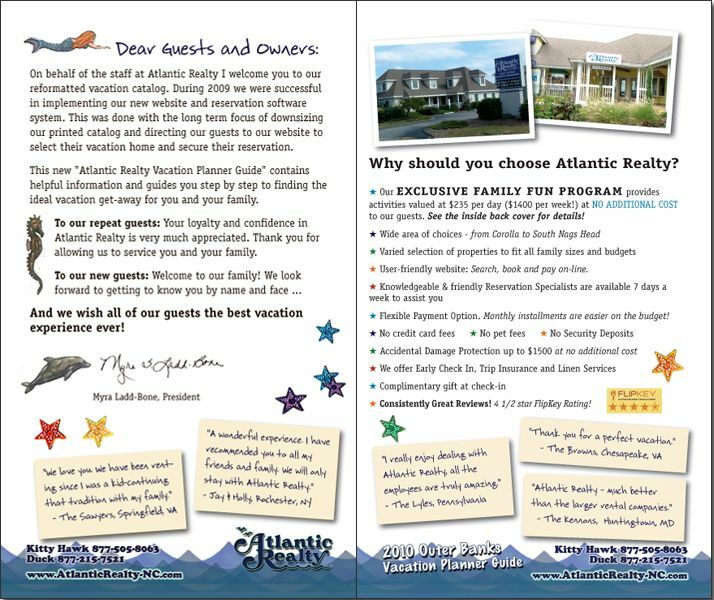 It then encourages you to visit Atlantic Realty’s website to view the individual homes that match your criteria and book a vacation online. 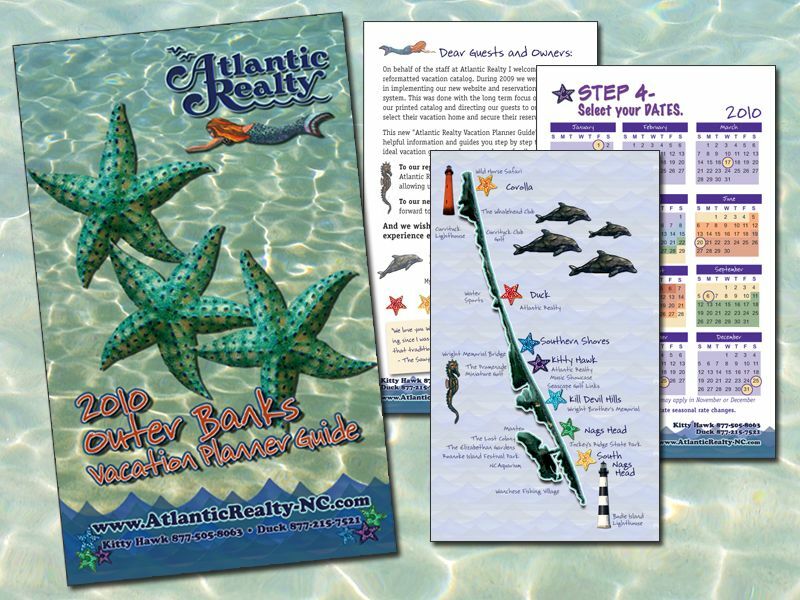 The hand-drawn/illustrated style of the book draws from several postcards and mailers which Atlantic Realty has sent to clients in the recent past. They add a charm and very distinct style – important to help them stand out with their audience. 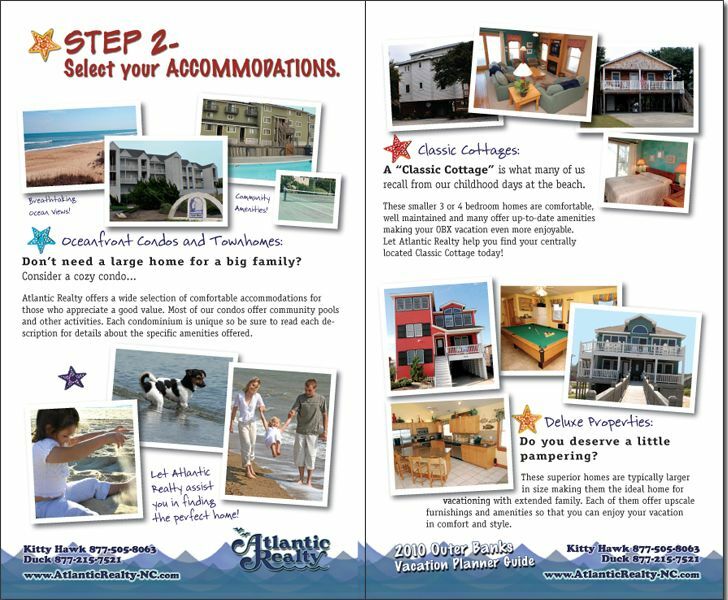 We also wanted to really emphasize the “step-by-step” helpfulness of the brochure as a guide. We used a font that looks like a marker – like someone has written notes in it to the reader, or the reader has jotted notes themselves in the guide. 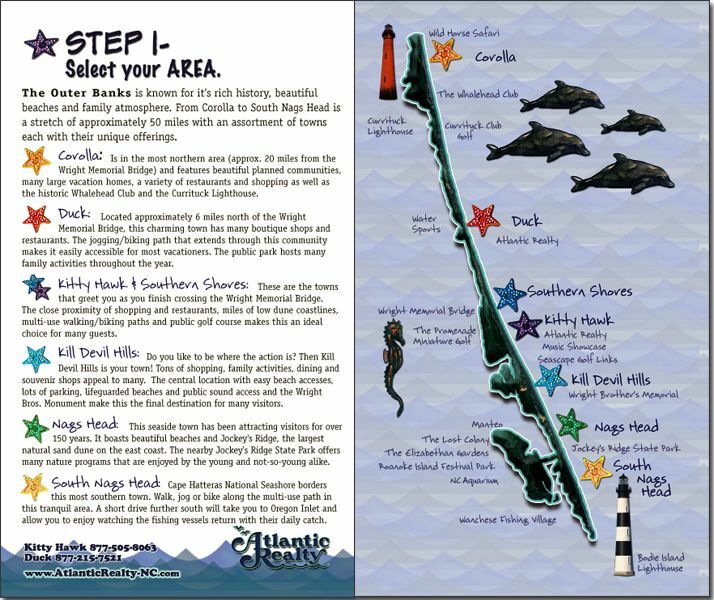 We also put the “Step 1”, “Step 2”, etc., text prominently on the top of each page in fun different colors as you go through the book. These large headers are key in keeping readers on track, leading them through the book and to Atlantic Realty’s website to book their rental. The book is a 12 page self-mailer. I am excited about this and looking forward to working with you on other [projects]. Thank you!